Christ Church (in the Sixth Ward of Brooklyn), was organized on 18 May 1835, one year after the incorporation of Brooklyn as a city, as the fourth Episcopal congregation in Brooklyn. Designed by the renowned architect and member of the parish, Richard Upjohn, who designed Trinity Church, Wall Street in New York and the gates of Green-Wood Cemetery in Brooklyn, the current building was consecrated in 1842. The interior of the church was completely renovated and decorated in 1916 by Louis Comfort Tiffany, now remembered primarily for his artistry in forming lampshades out of glass, but better known in Brooklyn for his church windows. The Christ Church redecoration was his last personal commission and may be seen as the summation of his decorative church work. Early on Sunday morning, 26 February 1939, the church building was destroyed by fire. Although it was eventually rebuilt, all but six widows in the nave were destroyed. One of the windows not lost in the fire, the window depicting the Annunciation, had originally been in the side splays of the windows above the High Altar. Tiffany had moved that window and placed it behind the Baptistery to make way for his new Adoration of the Magi window, which, sadly, was destroyed in the fire. The Annunciation window remains behind the Baptistery and dates to the origin of the building. 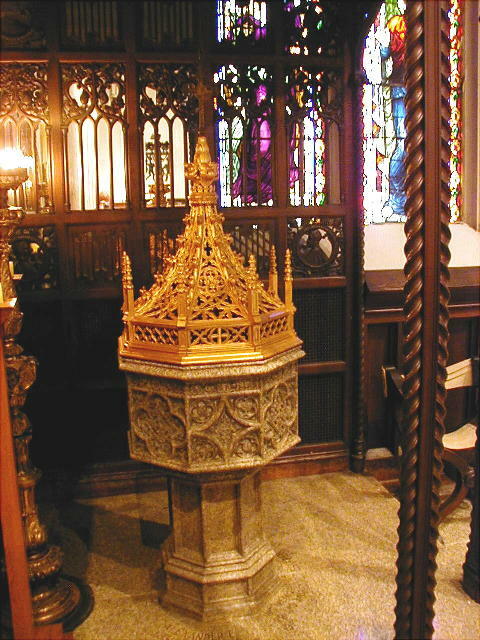 The basic interior is still Tiffany's, especially evident in the sanctuary, High Altar, Pulpit, and Lectern, where his use of uncut semi-precious stones and iridescent tile treats the eye to a variety of colors from different angles, the magnificent Wheel of Elijah executed in mother of pearl in the wall above and High Altar, and the High Altar Cross and Candlesticks. In 1969 the building was accorded landmark status by the New York Landmarks Commission. Christ Church shares with its neighbors its quiet garden on Clinton Street and invites all to join the "Garden Volunteers". The parish holds an annual Saint Francis Festival in October, with Blessing of Animals. 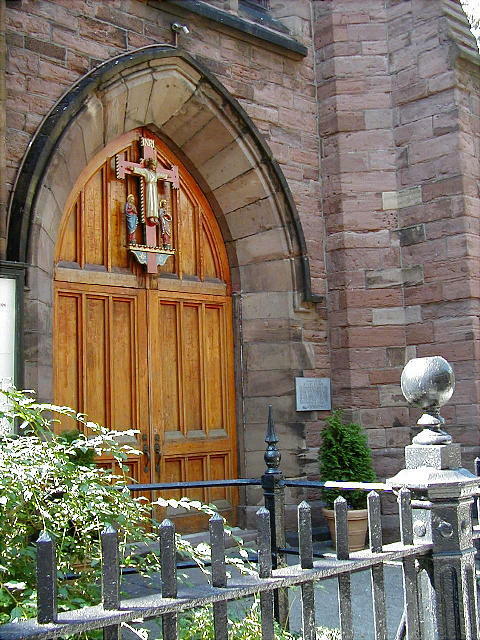 The church hosts a number of musical events throughout the year, especially as a part of the Gotham Early Music Society series, and yearly Christmas caroling through Cobble Hill. The Annual Saint Nicholas Medieval Christmas Faire is looked forward to by members and neighbors of the church the first weekend of December each years as an opportunity for great gift buying, wonderful food, and chance for children to have their own "Visit from Saint Nicholas", who presides at the Faire. Christ Church hosts the office of the Archdeaconry of Brooklyn, Family Consultation Services -- providing personal and family counseling for the Brooklyn Heights, Borum Hill, Carroll Gardens and Cobble Hill neighborhoods on a sliding-fee scale -- of the Episcopal Diocese of Long Island; the Therapy Learning Center -- a school for handicapped children -- as well as a number of other community services. A new venture for Christ Church is serving as the home of The Bartlett Project of Spiritual Formation and Direction, where individuals and groups may receive help, guidance and training in growing in the spiritual aspects of our life in Christ. And, of course, Christ Church offers regular services, Christian Education for Children and Adults, special seasonal observances and opportunities to be of service to God and community.